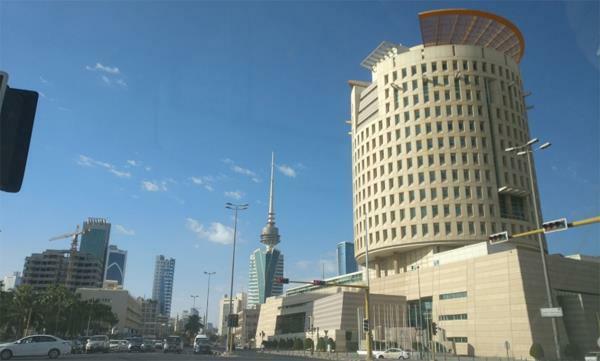 KUWAIT CITY, April 2, (Agencies): Kuwait's exports last March amounted to KD 125.1 million ($413 million) against KD 11.6 million ($38 million) in the same month of the past year, the Ministry of Commerce and Industry said in a press release on Tuesday. Value of Kuwaiti exports to Arab states, minus GCC countries, reached KD 115.5 million ($381 million) in March against KD 7.5 million ($ 24.7 million) of the same month in 2018. Egypt topped these countries in terms of largest volume of Kuwaiti imports, valued at KD 110 million ($363 million), higher than the past year by 80.25 percent, followed by the United Arab Emirates (UAE), at KD 2.1 million (USD seven million), then Italy at KD 2.1 million ($ seven million), rising by 120 percent compared to March 2018. Qatar came fourth, KD 1.8 million ($5.9 million). Jordan ranked sixth with KD 1.4 million ($4.6 million), higher by 15.8 percent compared to the same month last year, followed by Belgium, with KD 922,000 (USD three million). Lebanon came eighth, KD 774,000 ($2.5 million), with a 27.7 percent increase, followed by Yemen with KD 683,000 ($2.2 million), then Spain with KD 533,000 ($1.8 million), falling by two percent. Meanwhile, sources at the Capital Markets Authority (CMA) say the authority has commented on the position of the brokerage sector of companies that is working at the stock market, reports Al-Rai daily. In this regard, the measures taken by the CMA against companies that expose the interests of investors have been jeopardized by a large 'reshuffle', including the decisions taken against Kuwait Securities Brokerage Company, which requires the revocation of all licenses. It is clear from the followup by the daily that there is a trend in the CMA to accelerate the cleaning of the market during the current period, in order to keep pace with international standards to create a more organized market that meets the aspirations of domestic and foreign investments targeting Kuwait. Sources said that there is a group of companies which are put under strict control after repeated violations of the rules and regulations stipulated in the articles of Law No. (7) of 2010 and its executive regulations and their amendments, pointing out that there are new sanctions imposed on different companies. In line with the procedures of the Authority, some brokerage companies made decisions related to the review of operations carried out at different levels to ensure their validity and compliance with the rules adopted by the regulators, in anticipation of any surprises that might put them in a similar situation to what happened with Kuwait Securities Company. The authority relied on a number of articles contained in Law No. 7 of 2010 regarding the revocation of licenses of the aforementioned company, including Article No. 67, which provides for the right of the CMA to reject, suspend or revoke a license or restrict the activity of any person authorized to work in the management of securities activities, or any related person following him in case of violations.